Steve Bohner doesn’t settle for second best. The president and owner of Hydra Dyne Technology Inc., a hydraulic manifold, swivel and cylinder manufacturing company in Ontario, Bohner has long taken the attitude that if an off-the-shelf product doesn’t meet his needs, he’ll either fix it or make his own. That includes CNC machine tools, shop floor management software and, most recently, welding cells. In fact, he built his business on that same premise. After opening a hydraulics service and repair company in the late 1980s, Bohner figured he could machine and assemble far better products than what was coming across his bench. So, in 1993, he bought some CNC lathes and machining centers and began producing hydraulic cylinders. He was quite successful. Aside from its work on custom welding cells, Hydra Dyne has also developed Mr. Narrative, an electronic work instruction utility that simplifies machine operation. Hydra Dyne now has two plants, 100 employees and more than 40,000 sq. ft. of manufacturing space. Bohner’s team of engineers and support personnel design, machine and assemble a broad range of hydraulic equipment for John Deere, Parker and many other companies in the forestry, mining and construction industries. 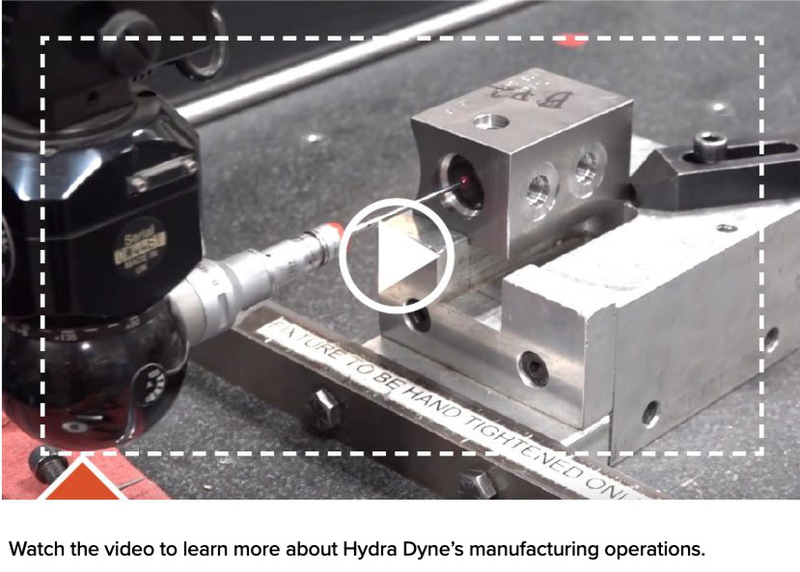 Hydra Dyne’s achievements include receiving a patent on its LocSeal rotary union technology and receiving Canada’s prestigious Yves Landry Foundation’s AIME Global (Achieving Innovation and Manufacturing Excellence) award in 2017. A large part of what Hydra Dyne does requires welding. A lot. In fact, Bohner recently invested $3.8 million in new technology with a big chunk of it going toward welding equipment and the robots and controllers needed to drive it. However, the way in which that equipment was put together was far from ordinary, as were the results of the huge investment. The lion’s share of the open-arc, metal-core welding done at Hydra Dyne is joining end caps to hydraulic cylinders and welding the eye assemblies used to mount these cylinders to whatever earthmover or feller buncher (a type of harvester) needs them. The parts are heavy, lengths and diameters vary greatly, and production volumes are relatively low. This less-than-optimal welding scenario created challenges for Bohner early on. As the business grew, he decided to purchase his first robotic welding cell in 2006, but was quickly disappointed. “The people who designed it just didn’t understand how to position our parts or how to weld them,” he says. Hydra Dyne designs, machines and welds a range of hydraulic equipment for John Deere, Parker and others in the forestry and construction industries. The problem is primarily one of reach. 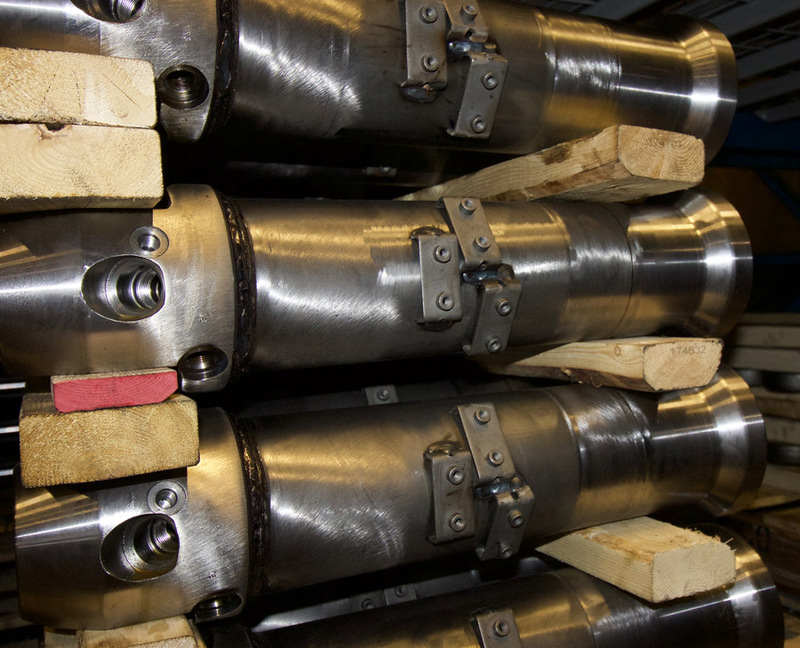 Hydra Dyne doesn’t need a huge welding gun for its products, but it does need a robot able to reach short cylinders, long cylinders and rotary manifolds, all within the same cell. Between that first cell’s oversized robot with its far from exceptional repeatability and accuracy, the cell’s poor ergonomics and the wimpy turntable, the off-the-shelf product was nowhere near Bohner’s expectations. Not surprisingly, he set about designing his own, eventually sending his design to a local integrator. Today, Hydra Dyne has six custom-built cells. Most use Yaskawa Motoman robots and controllers with Miller welding equipment hanging off the robotic arm’s business end, a combination Bohner has been pleased with. But for the latest $3.8 million investment, he decided to give Fanuc and Lincoln Electric a try. Thus far, the results have been quite good. Whatever the robot, welder or controller brand contained within, all of Hydra Dyne’s custom cells share one basic similarity: the robot is as small as possible (typically a 1.2-m to 1.5-m reach is used). To do so, Bohner placed a heavy-duty lathe-style turntable on a horizontal rail system within the cell, which can slide in and out as needed to accommodate various cylinder lengths. It was a small change, but because of it, the robot doesn’t have to reach as far to do its job. Whip and wire length, therefore, are reduced, and weld accuracy has proven to be better than Bohner’s store-bought solution. Also, the robot cost less than its larger legacy cousin. And the entire cell is compact enough that the operator doesn’t need to reach as far to move a heavy workpiece, an important consideration for safety and productivity alike. 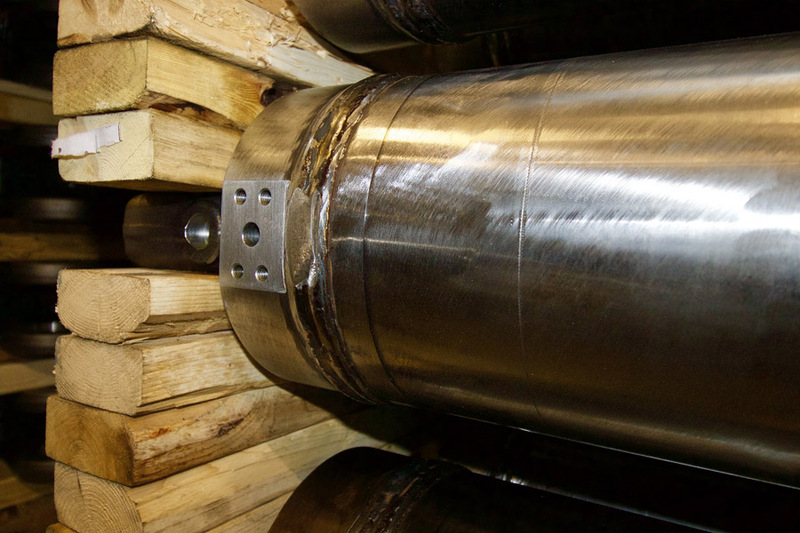 The majority of Hydra Dyne’s open-arc, metal-core welding is done to join end caps to hydraulic cylinders. Although all of this specialty machine building sounds crazy expensive, Bohner and Hydra Dyne actually saved money with the custom solution. And that’s without considering the savings gained from the increased throughput. Bohner’s only complaint is the repeatability. 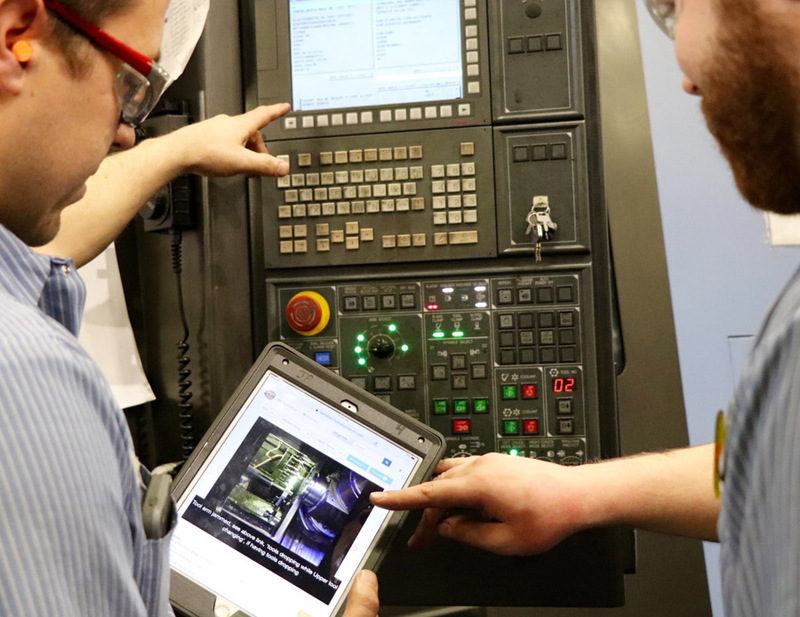 He admits that his shop probably has more part numbers, faster turnover and greater accuracy needs than are found in a typical robotic welding application. However, he feels the automation industry deserves a bit of criticism. “Robots are not like CNC machines where there’s an actual home position and a fixed coordinate system,” he says. “And despite decades of use and development, the repeatability and accuracy are still not where they should be. 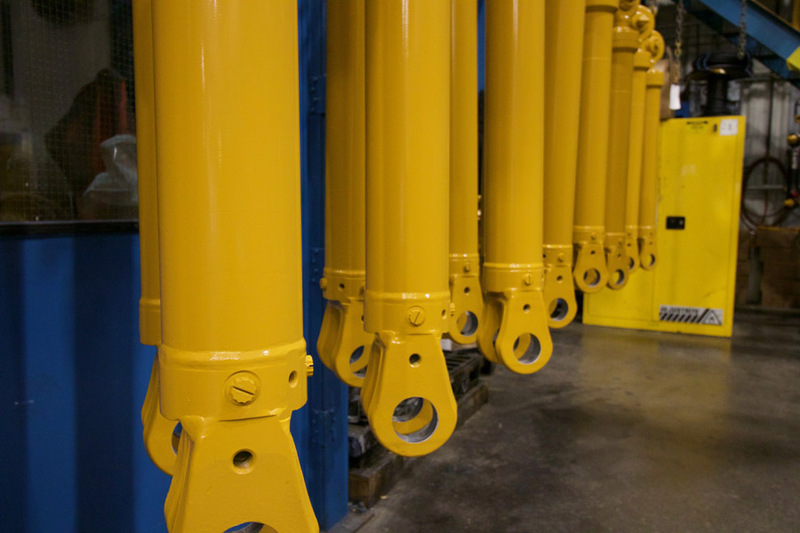 A batch of completed cylinders, ready for assembly into an earthmover or feller buncher.